I read self help books. That’s right. I read self help books and trust me, I have heard all the comments and noticed all the judgy looks. I can’t tell you the number of times someone has noticed me reading as they walk by, then stop and say, “hey, what are you…oh. It’s a self help book,” and quickly continue walking. But really, what’s the big deal? Pregnant women read What to Expect When You’re Expecting and nobody gives them grief for it. Undergrads study GRE prep guides and no one looks down on them. Techies immerse themselves in coding books and onlookers think they are uber smart. How to be more productive with your time. How to find a meaningful relationship. How to maintain said meaningful relationship. How are these ideas lame? Does anyone on the planet think that confidence is lame? No. everyone pretty much agrees confidence is awesome. Does anyone you know want less money? Nobody I know. Does anybody you’ve ever met despise love and avoid connecting with others? Ok, you probably know a few people like this, but come on, we all know they are just fronting…they really do want to connect. So what’s the dealio? Why should I be embarrassed to run into someone I know in the self -help section of the bookstore? Why don’t I read my copy of Tony Robbins’ Awaken the Giant Within at Starbucks, for all the world to see? Well, the answer is very simple. Because reading a book about gaining confidence conveys the message that I don’t already have it. Reading a book about finding love leads others to the conclusion that I am a sad, lonely spinster. Reading self help books is an admission that I am lacking in certain traits and possessions that make people attractive: happiness, money, friends. Reading these types of books proves that I am not perfect in at least one area, namely, whatever the topic of the book I am reading. I might as well post, “I am a loser with no friends” on my Facebook page. Why don’t I just tweet, “I’m broke and have way too much credit card debt.” How Embarrassing! I get it, people want to put their best foot forward. They want to showcase their strengths and make themselves look as good as possible, especially in a group setting or in front of people they don’t know. Why? Because we all assume that our strengths will make others like us and want to know us better. But here’s the rub: we never gain more knowledge without first admitting that we don’t have it. It’s ok to be imperfect. We’re all imperfect, after all, and everyone knows it. But it’s also ok to admit to the fact that we’re imperfect. To be open and upfront about the areas that we’d like to improve. Hi, my name is Nelly and I read self-help books. I would like to be more confident, manage my time better and improve my anxiety coping skills. I find that self help books, especially those written by subject matter experts, have some great ideas about how to accomplish these things. Ya! Take that, Self-Help Haters! Moded, corroded, your booty exploded! So, hey, check out all the Self-Help books I am into on my NormalNelly GoodReads.com profile. 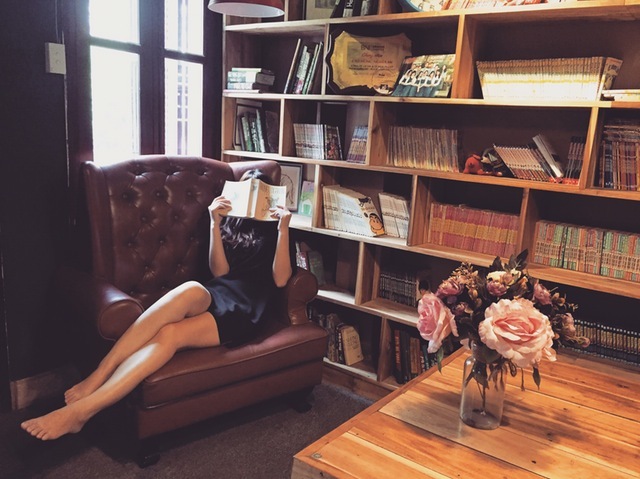 And comment on this post about what self-help books you love or want to check out.